Many people focused on lowering cholesterol naturally think that eggs are off limits. Not true! Eggs are one of the most nourishing and easy-to-digest foods on the planet. It’s sad…eggs are so misunderstood, especially to those that are focused on lowering cholesterol naturally. Many people think that because eggs contain cholesterol, they must cause high cholesterol levels in those people who consume them. Not true! As it turns out, while the average egg does contain around 213 milligrams of cholesterol, eggs are one of the most nourishing and easy-to-digest foods on the planet. In a study published in the Journal of Nutrition, participants’ blood levels of total cholesterol, LDL cholesterol, HDL cholesterol, and triglycerides were not affected by eating an egg a day. The study examined the effects of eating one egg a day on blood levels of lutein, zeaxanthin, cholesterol and triglycerides in 33 men and women over age 60. After a 5-week period in which the participants ate an egg daily, their blood levels of lutein and zeaxanthin – important protective carotenoid nutrients – significantly increased by 26% and 38%, respectively. But more importantly, even though eggs are well-known for containing cholesterol, participants’ blood levels of total cholesterol, LDL cholesterol, HDL cholesterol, and triglycerides were not affected by eating an egg a day. When possible, you should eat organic eggs to avoid the consumption of toxic pesticides, chemical fertilizers, antibiotics and growth hormones that are dispensed to non-organic raised hens. When hens consume non-organic raised grains that have been sprayed with pesticides and fertilizers, their bodies absorb all the chemicals in the grains. Non-organic hens are also injected with antibiotics and hormones to enhance their growth. All of these toxic chemicals are stored in the hens’ body fat. 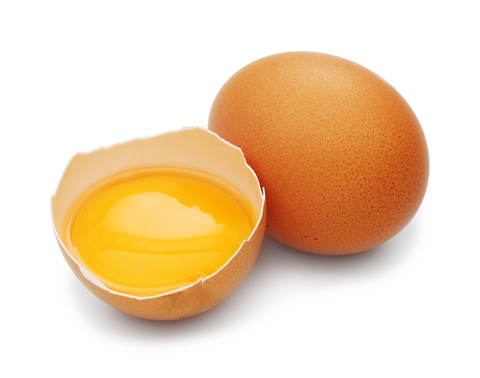 When a hen starts producing an egg, the chemicals are then excreted into the yolks. So, when you eat a non-organic egg yolk, you are consuming trace amounts of toxic chemicals that the chicken either consumed or was provided via injection. On the contrary, organic chickens are fed, and have more access to plant materials, which results in a more nutritious egg yolk. If Eggs Don’t Raise Cholesterol Levels, What Does? It is a myth that the amount of cholesterol contained in a food is what influences your body’s cholesterol level. 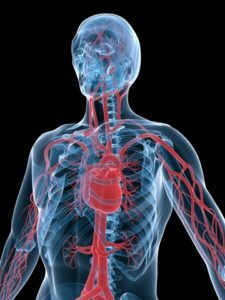 In fact, the majority of cholesterol in your bloodstream comes from what your liver is manufacturing and distributing. This is because 95% of the cholesterol in your body is made by the liver. So, you should be looking to avoid foods that cause your liver to pump out more cholesterol. The truth is that diets high in carbohydrates, especially sugar, lead to increases in blood cholesterol levels. Carbohydrates are processed and changed to blood glucose (sugar) in the body. The blood glucose is absorbed into the blood stream and then used for energy. If there is extra blood glucose that is not used for energy, the body converts the glucose into triglycerides. The triglycerides (also known as fat) are then stored in the fatty tissues. This, in turn, causes weight gain and increased cholesterol levels. That’s why people with high triglycerides often have a high levels of LDL (“bad”) and lower levels of HDL (“good”) cholesterol, too. As a result, those looking to lower cholesterol naturally should remove or greatly reduce the following foods from their diet: Breads, rolls, muffins, sweets, sugar, candy, doughnuts, cakes, cookies, and cereals. But don’t worry about the poor misunderstood egg. You can eat as much of this nourishing food as you like while lowering cholesterol naturally at the same time. In fact, nutrition expert Natasha Campbell-McBride, MD, MMedSci (neurology), MMedSci (nutrition) and author of the GAPS diet recommends two to six uncooked or lightly cooked egg yolks per day for a GAPS child (autistic) and four to eight egg yolks per day for an adult. Many nutrition-oriented doctors including Dr. Campbell-McBride say eating eggs raw is generally safe from Salmonella exposure as long as you are eating the free-range organic type eggs. So what about you? How do you like your eggs? Are you getting enough in your diet? Give us your feedback in the Comments section below. antibiotics, blood cholesterol, blood cholesterol levels, cholesterol, cholesterol level, cholesterol levels, diet, egg yolk, food, glucose, good cholesterol, hdl, hdl cholesterol, high cholesterol, high cholesterol levels, high triglycerides, ldl, ldl cholesterol, lower cholesterol, lower cholesterol naturally, lowering cholesterol, lowering cholesterol naturally, nutrients, nutrition, organic, pesticides, sad, sugar, to lower cholesterol, to lower cholesterol naturally, total cholesterol, Triglycerides, weight gain, zeaxanthin. I appreciate this information. Thanks so much for this! I get so tired of all the Drs insisting on all these drugs. I do believe that these statin drugs are bad. I don’t have any memory any more. I ache and hurt in my muscles and joints. I think we need to go back to the basic nutrients! My husband was not able to take stain because of the side effects. Instead, he is taking Niacin. doctor said, NO problem. just wondering why doctors do not suggest a “natural” way to lower cholesterol and triglycerides first? I do eat 1 egg usually with sardines every morning and have no problem with cholesterol. Just boiled the egg for 3 minutes. The organic egg is part of my breakfast every day and I feel great! May i eat 1-2 eggs (organic/inorganic) daily. What will the effect on cholestrol or blood presure.I am a hyper tensive pateint and having high cholestrol. Absolute rubbish. Even the egg board admits they cannot call eggs healthy, healthful, nutritious, good for you, part of a healthy diet or even safe. You do not lower cholesterol by eating a high source of cholesterol! Your body makes all the cholesterol you need. TMAO is deadly. Why is lecithin not mentioned which is in eggs ?